Patrol was formed in the Summer of 2003 with the core membership of Doug Lorig (Roadside Monument, Raft of Dead Monkeys) on guitar/vocals and Eric Junge (The Building Press, Vermilion) holding down duties behind the drum kit. After a year of grueling rehearsal, the final line-up was solidified with the additions of Jake Reisenbichler (Black Eagle) on bass and Skippy King (Not My Son, Tigernaut) on guitar. During 2004-05 the band honed its own brand of heavy rock, playing shows in and around the Seattle area and cutting an initial demo with Ben Verellen (Harkonen, These Arms Are Snakes, Roy). Originally the recordings were to be released as an EP, but those plans were scrapped. Still, the band moved forward, eventually settling down long enough to record a full-length album. 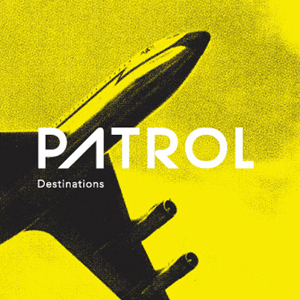 With the completion of their debut album Destinations, Patrol emerges fully formed, completely devoid of the over-eager idol worship that usually scars a young band. The album is a clear statement of purpose by a band that has sharpened its sound to a deadly point. This is Patrol's vision of rock music; heavy and loud but retaining the rhythmic complexity of the member's earlier bands through passages that kick like a drum pedal to the back of the head. From the seesaw grind of "The Arraignment" to the slow brooding "Our Compromise" Patrol show a balance in their craft. While the tempos on the album shift, the band remains in control of their sound. The guitars hack, slash and crunch their way throughout the album's ten tracks, driving and molding the melodies with shocking precision. All the while, pummeling drums and bass create an uneasy rumble, like something big, black and dense swirling above the huge spacey riffs and emotive howls. This is hard rock, both new and pure. 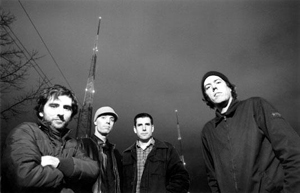 Destinations was put to tape in late 2005 by esteemed producer Matt Bayles who's past production work includes such bands as Isis, Mastodon, Murder City Devils and Minus the Bear. The album is to be released in Japan by Stiff Slack in the summer of 2006. Very good content best all. Hello everybody this resource is really cool.